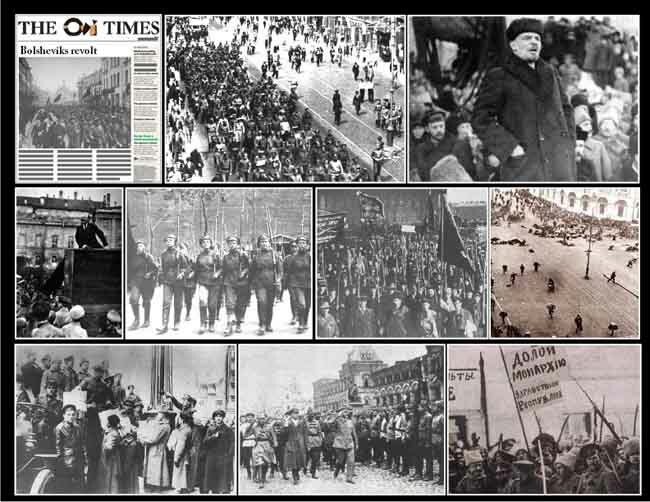 November 6th 1917; led by Bolshevik Party leader Vladimir Lenin, leftist revolutionaries launch a nearly bloodless coup d’état against Russia's ineffectual Provisional Government. The Bolsheviks and their allies occupied government buildings and other strategic locations in the Russian capital of Petrograd (now St. Petersburg) and within two days had formed a new government with Lenin as its head. Bolshevik Russia later renamed the Union of Soviet Socialist Republics (USSR), was the world's first Marxist state.